With clear customer service satisfaction due to a flourishing business, MyInfoBill.com shares their new customer service experience and how they've generated client loyalty. MyInfoBill.com has simple customer service solutions to get a hold of their staff: email, phone line and live chat. Public records customer service website MyInfoBill.com provides superior service through professional training and positive outlooks. The company also shares the new ways and reasons on how their customer service ranks high than others. MyInfoBill.com has simple customer service solutions to get a hold of their staff: email, phone line and live chat. The company also responds to complaints or concerns within seven business days, providing a fast and individual experience for clients. The company also offers social media help on Facebook, Twitter, YouTube and more. With this, MyInfoBill.com can easily network with their customers through simple means. Whether it's connecting on the computer through chat or email, or by calling via landline telephone, MyInfoBill.com social media can also allow smartphone users to connect with customer service help. MyInfoBill.com customers have multiple means of contacting the public records website for help and questions, thus the high satisfaction rating they have received. MyInfoBill.com looks to keep on this tradition of providing many customer service solutions to aid in client gratification. Customer service website MyInfoBill.com was created to serve the needs of public records clients across North America. 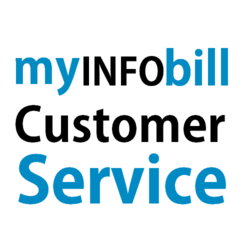 With thousands of requests processed each day, MyInfoBill.com continues to grow as a reputable customer service resource. Visit MyInfoBill.com to chat with a live representative, call 1-866-434-4253, or email josh(at)myinfobill(dot)com with any questions or concerns.